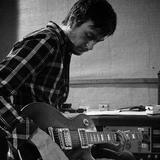 Get personal guitar lessons from London's foremost guitarists and RockSchool authors. Learn iconic songs from Ed Sheeran, Jeff Buckley, Bob Dylan, Paul Weller, Otis Redding and Oasis. Welcome to Rockschool Acoustic Guitar Grade 2! We've recorded these lessons with the original Rockschool authors and London's foremost guitarists- Andy G Jones, Carl Orr and James Betteridge - to help you master the songs from the 2016 Rockschool Acoustic Guitar syllabus. James Barratt, an experienced rockschool teacher with a 100% student pass rate will drill you in the technical exercises, scales and arpeggios as well as the music theory relevant to this grade. By the end of this course, you'll be able to play iconic songs from the likes Ed Sheeran, Jeff Buckley, Bob Dylan, Paul Weller, Otis Redding and Oasis. You'll also Understand the theory behind the songs and be comfortable playing dozens of relevant new scales, chords and arpeggios. This course is ideal for beginner to intermediate guitarists, who want to learn a few iconic Rock and Pop songs as well as fundamental techniques needed become a skilled guitarist. It's also perfect preparation for guitaritst who want to ace their Rock School Grade 2 Exam. In part 1, Andy, Carl and James will walk you through the 5 songs below. In part 2, James will help you practice the scales, broken chords, chord voicings that you'll need at this level. Pre-requisite: To learn the pieces you'll need the sheet music and tab from the official Rockschool Acoustic Guitar Book click here to get the book in digital format. Rockschool are the world's foremost awarding body for contemporary Arts. They are known for their groundbreaking approach to popular music education, and have honed their learning material for guitar, drums and piano over more than 2 decades of innovation. 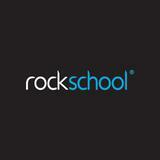 MusicGurus are proud to partner with Rockschool to produce tutorials based on their grade books. These courses enhance the experience of learning with Rockschool. They are taught by top pro musicians - many of whom are the authors of the Rockschool. Join some of the U.K's top professional drummers for the 'pro perspective' on your Rockschool grade. We're proud to bring you fun, easy-to-follow video courses for the 2016 Acoustic Guitar Syllabus. Whether you're taking your first steps on guitar or moving into further or higher education, a Rockschool Acoustic Guitar Grade will improve your playing ability, expand your technical proficiency and give you a solid grasp of music theory, whilst practising and performing to some of the most iconic tracks from the world of popular music. The teachers are some of London's foremost Rock guitarists and the authors of the syllabus: Andy G Jones, Carl Orr, James Betteridge, James Barratt. Andy G Jones has played with Van Morrison, Cliff Richard, James Ingram, Lamont Dozier, Queen (Brian May and Roger Taylor), Dean Bradfield (Manic Street Preachers), The BBC Radio Big Band, Patti Austin, Hamish Stuart (Average White Band), Lalo Schifrin (Hollywood film composer Bullitt, Mission Impossible), Hank Marvin, Grady Tate, Agnetha from ABBA, Dudley Moore, Sarah Brightman, Petula Clark, Madelaine Bell, Smooth Jazz star Richard Smith, Chris Standring, Jerry Lewis (The Nutty Professor, King of Comedy), Katherine Jenkins and Darcey Bussell, Laurie Holloway and has toured with the Royal Philharmonic Orchestra. Since leaving Van Morrison, Andy has been in Cliff Richard’s band and played at the Queen’s Jubilee Concert which also featured Stevie Wonder, Elton John and Paul McCartney. He has just returned from Australia where he played on a live Cliff Richard DVD at the Sydney Opera House. Carl Orr has performed and recorded with some of the finest musicians on the planet including Billy Cobham, George Duke, Ernie Watts, Randy Brecker, Gary Husband and Bennie Maupin. He is a regular at London’s legendary Ronnie Scott's Jazz Club in his own band and as a member of drummer Mark Fletcher's supergroup "Fletch's Brew”. Carl has taught guitar at The Australian Institute of Music, Brunel University, Middlesex University, London Centre Of Contemporary Music and The Academy of Contemporary Music. A prolific composer,Carl has recorded eight albums as a leader and is featured on albums by Billy Cobham, Fletch's Brew, Geoff Eales and Nathan Haines.